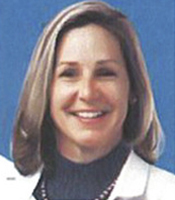 Dr. Deborah Lenart is an Obstetrician-Gynecologist in McMurray, Pennsylvania and is affiliated with St. Clair Hospital. She received her medical degree from Wright State University Boonshoft School of Medicine and has been in practice for more than 20 years. She is one of 26 doctors at St. Clair Hospital who specialize in Obstetrics & Gynecology. She has been the volunteer medical director at our women’s care clinic in Pittsburgh since 2003.